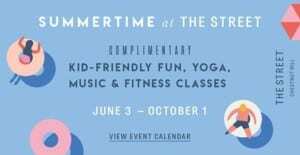 Summertime at the Street Returns with Free Fitness, Free Music, and More this Summer! Summertime at the Street returns to Chestnut Hill starting Saturday, June 3, 2017 with over 100 free outdoor events from free fitness to free kid activities to free music and more! All events are free, open to the public and occur outside on the green at the Street. Registration is recommended but not required. 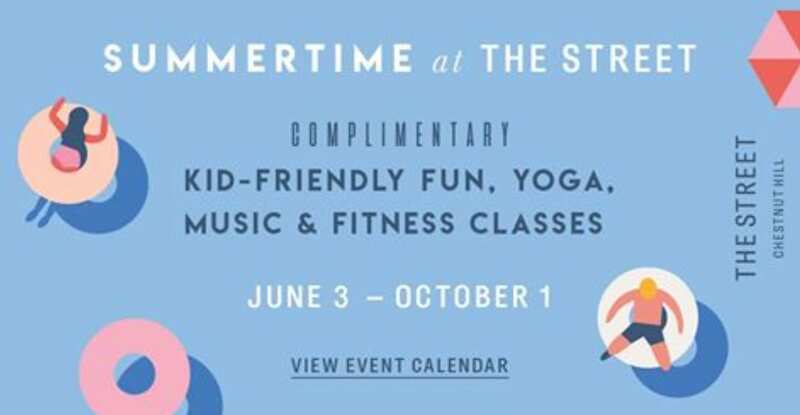 For more information about Summertime at the Street, please head here. Will you be heading to Chestnut Hill for Summertime at the Street for free their free outdoor events this summer?